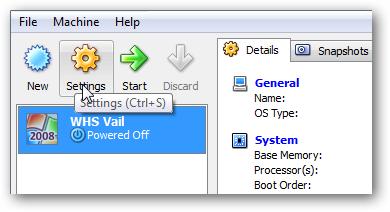 If you don’t have an extra machine or are an early adopter who wants to test out Vail, creating a VM is a good choice. 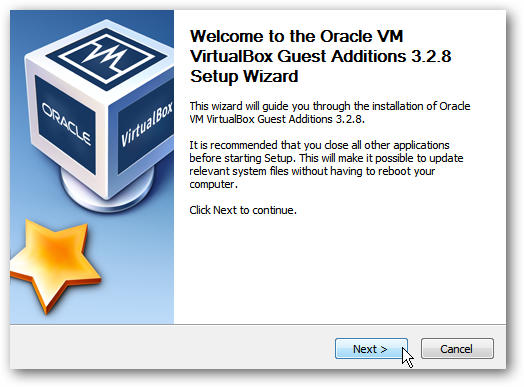 To complete our series of installing WHS “Vail” Beta virtually, we look at installing it on Oracle’s VirtualBox. 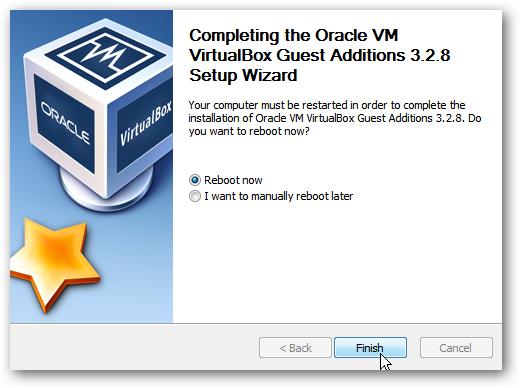 Today we complete our Vail VM series and show you how to install it on Oracle’s free VirtualBox. 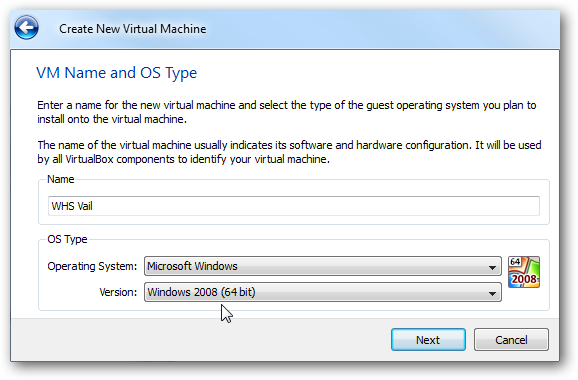 Note: You will need to install VirtualBox on a 64-bit Windows System that supports hardware virtualization. We’ve read some articles that you can install it on a system without Hardware Virtualization, but haven’t been able to confirm that. 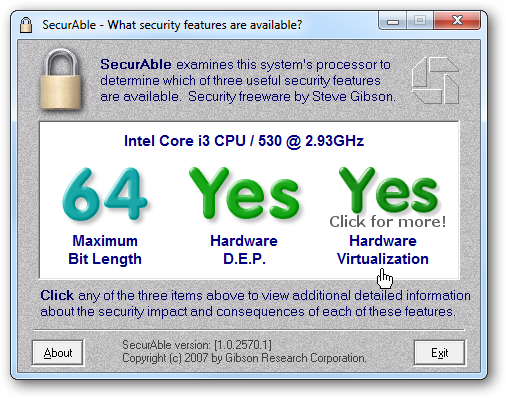 For best results make sure the Host computer supports Hardware Virtualization. To check if you’re system is capable of Hardware Virtualization you can use either SecurAble or the MS Virtualization Detection Tool…both are free and easy to use utilities. 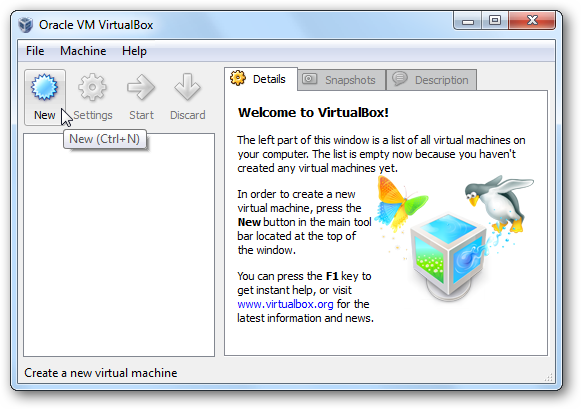 If you don’t already have the latest version of VirtualBox installed on your PC, go to the VirtualBox site and download it (link below). Installation is straight-forward choosing the defaults. 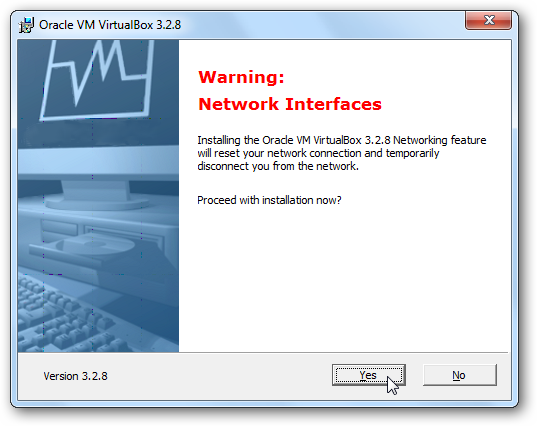 During the installation select Yes to the warning about Network Interfaces. You’ll be prompted to approve the install of the device software, click Install. 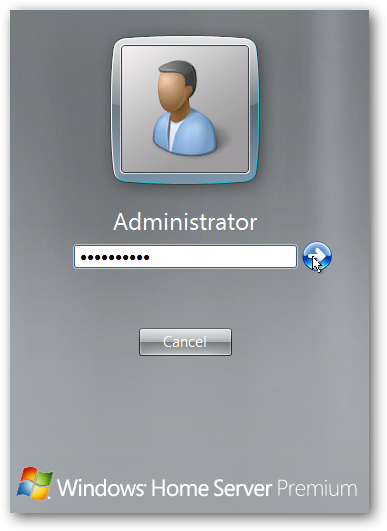 Now that we have VirtualBox installed it’s time to create our VM for Vail. From the main interface click on New to begin the New Machine Wizard. When you come to the screen to pick the OS type, select Windows 2008 (64-bit) and give your machine a name. 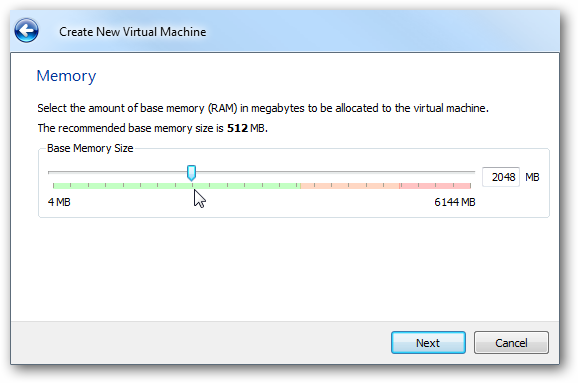 Select the amount of memory you want to use. The minimum is 1GB but here we’re bumping it up to 2GB. You can select Fixed size or Dynamically expanding storage. We chose Dynamically expanding storage versus Fixed, as the minimum requirement is 160GB and creating it as Fixed storage takes quite a while. We actually tried it both ways and they worked equally. 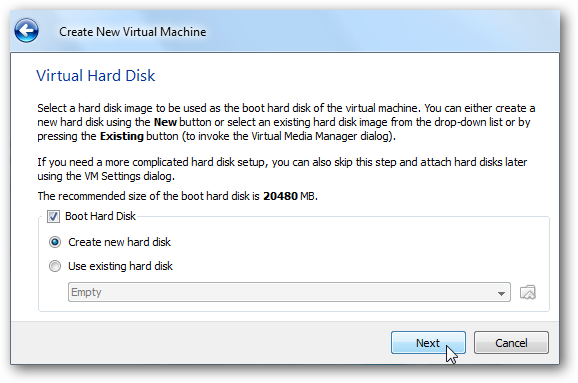 Again you can create a Fixed size hard drive if you want, but it can take quite a while, and can slow down other running tasks you’re using while waiting for it to complete. 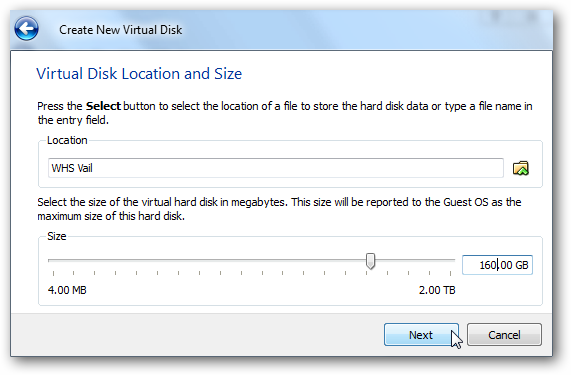 Select the size of your disk where the minimum is 160GB. 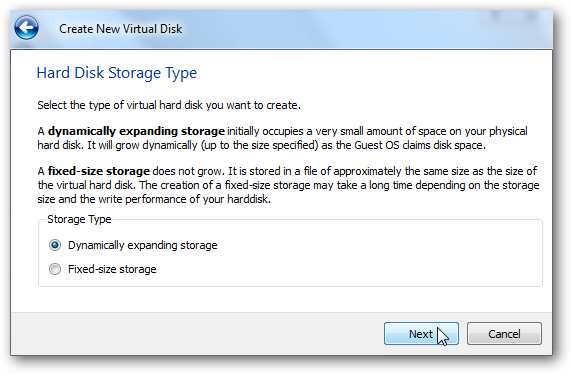 Since we picked Dynamically Expanding storage, it won’t take up the full 160GB on the disk. Review your new machine summary and click on Finish. Now that the machine is ready to go, we need to make a few adjustments to the hardware settings for the VM. 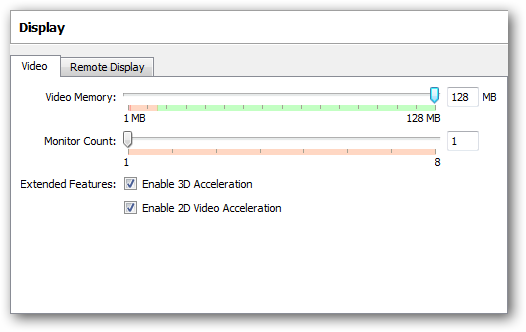 We adjusted the Display and maxed the video memory and you can enable 2D/3D Acceleration if you want, but there is no benefit from it. It’s a server and not meant to be fancy. The Network settings are probably the most important as they are in the VMware installs. 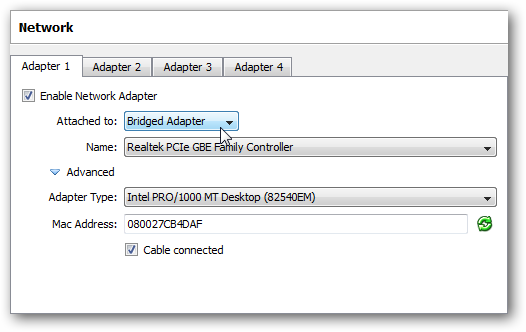 Check Enable Network Adapter and change it to Bridged Adapter. This will make the Vail VM appear as a separate machine on your network. 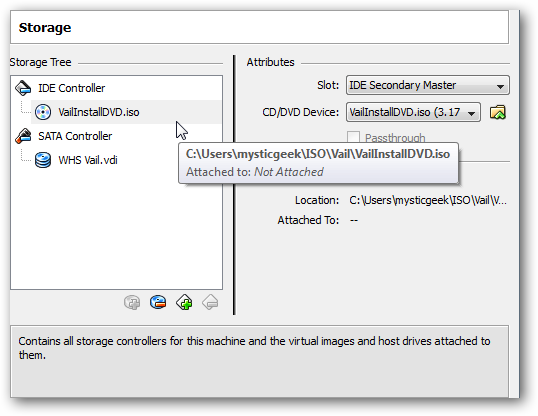 Under Storage for the CD/DVD Device browse to your VailInstallDVD.iso image. 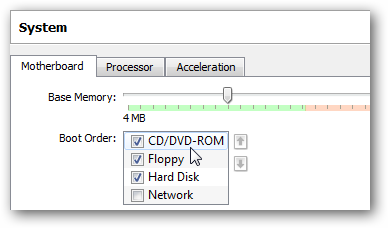 Also, make sure to move the CD/DVD-ROM up to first in the Boot Order. 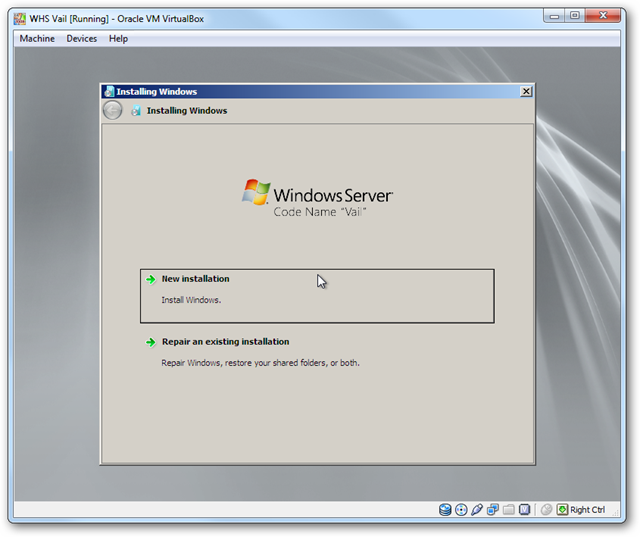 Now startup your new Vail VM and go through the Vail Installation Process. After the Vail installation process is complete, we need to install Guest Additions to make the VM experience more fluid. Click on Devices \ Install Guest Additions. 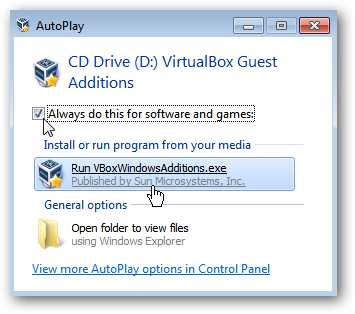 When AutoPlay starts in the VM select Run VBoxWindowsAdditions.exe. 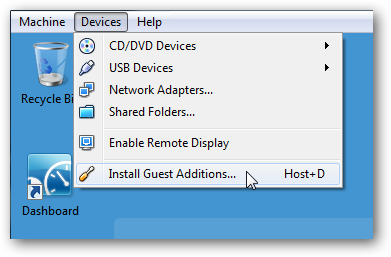 Then navigate through the VirtualBox Guest Additions Setup Wizard. After working through the Guest Additions Install Wizard, a reboot of your Vail VM will be required. 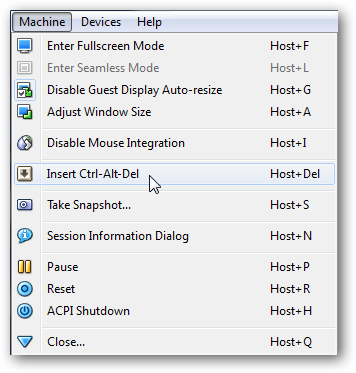 When it comes back from reboot, at the CTRL+ALT+DEL logon screen go to Machine \ Insert Ctrl+Alt+Del. Now you can log into Vail. That is all there is to it! 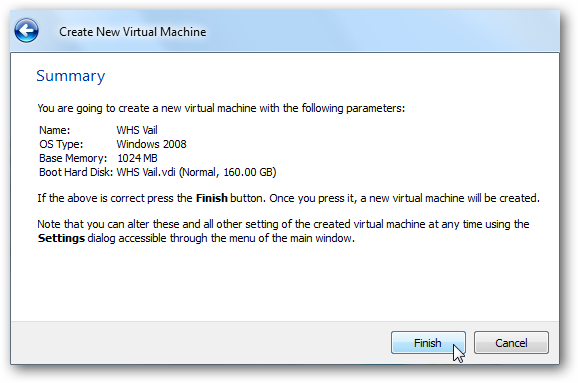 You can now start using your Virtual Vail machine in VirtualBox. While we had no problem installing Vail on VirtualBox, but it didn’t run as smoothly as it did on VMware products in our tests. However, if you’re a fan of VirtualBox and want to try out Windows Home Server Beta “Vail” without the need for another machine, this will do the trick. No matter if you want to use VMware Player, VMware Server, or VirtualBox…they’re all free and the Vail Beta is free right now too. 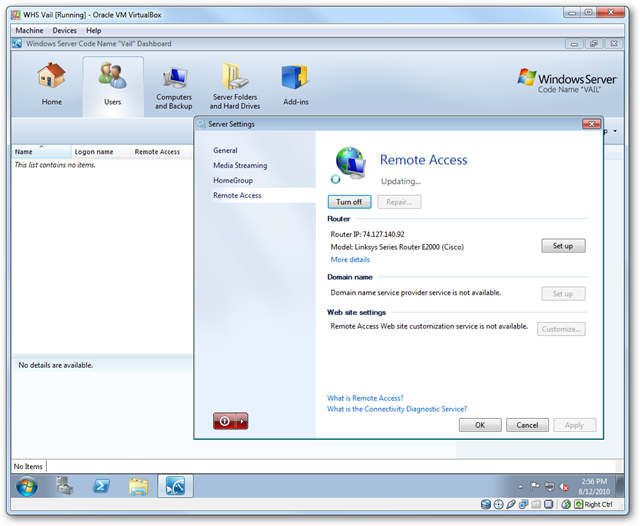 Download Windows Home Server Vail Beta from Microsoft Connect – Registration Required.